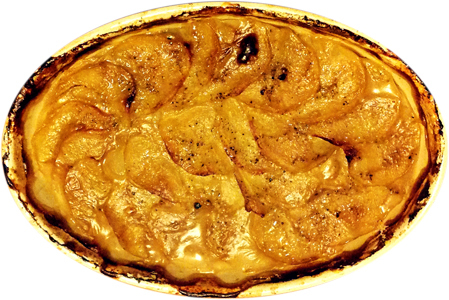 Ni Dauphinoise, Ni Boulangere | What's for tea tonight dear? This entry was posted in Recipe, Vegetarian [or Vegetarian Version] and tagged boulangere, chicken stock, dauphinoise, garlic, gratin, onion, potato, recipe, stock, vermouth, white wine. Bookmark the permalink. Thanks VG – let me know how you get on! We’ve made our normal potato dauphinoise with chicken stock instead of some of the cream, so tasty and no less rich and indulgent! Is a winner, isn’t it? Certainly is Kavey – glad you enjoyed!